Tarek Aboualam carries 25 years of ICT management experience with a track record of significant accomplishments in the European and Middle-Eastern Telecommunications markets. As co-founder and managing partner of Glint Consulting, Tarek leverages on his expertise to offer management consulting and investment services that aim to build successful companies and aid them in maximizing their value. Tarek brings forth widely diversified experience with a clear vision and understanding of industry trends and business directions. His high level managerial skills are backed by a solid technical background and several years of hands-on experience in different ICT business areas, managing the establishment and turnaround of different sized companies, from small startups to large-scale incumbent with thousands of employees. His experience spreads throughout the Middle East and Europe as his career drove him from one leading telecommunications company to the next. Tarek currently serves as the non-executive Chairman of ItaliaOnLine (Italy) and as board member of ITNet (Italy), Inty (UK), Mitcha, Iqraaly (Egypt). 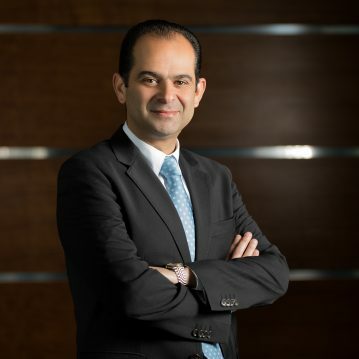 He also used to chair and sit on the board of different companies including Telecom Egypt, Vodafone Egypt, TE Data, Xceed, Soficom Communications (Egypt); Tellas (Greece); Tirocon (UAE); TEDJ (Jordan) and Mobiserve (Egypt, UAE & Pakistan). Before establishing Glint Consulting, Tarek played an integral role in leading mega-companies through turbulent times and safely securing their positions in the market with positive forecasts and sound financial performances. Tarek co-founded and managed one of the first ISPs in the MENA region (Soficom Communications SAE) acquired at a later stage by Batelco of Bahrain. Tarek holds a bachelor degree in Telecommunications engineering from Alexandria University.